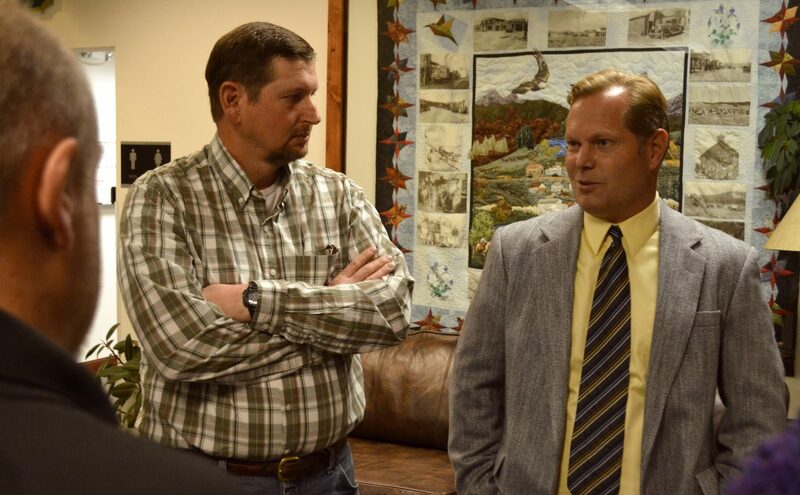 Former Meeker City Manager Scott Meszaros (right) speaks with community members during last week's meet and greet event in Granby. Grand County’s government is on the hunt for a new senior administrator as county officials look to replace retiring County Manager Lee Staab by the end of February. This Friday, Feb. 15, current Grand County Manager Lee Staab will officially enter retirement, opening his position to a replacement. Grand County’s Commissioners have been preparing for the looming vacancy since at least late October, when Staab announced his impending retirement during a Commissioner’s meeting. Staab, a former Colonel in the US Army, has served as Grand County Manager since July 2016. After conducting a multi-month search for a new county manager officials from Grand County government narrowed the search down to a group of three finalist candidates: Kate McIntire, Scott Meszaros and Don Rosier. All three finalist candidates visited Grand County last week as part of the candidate interview process. Tuesday night county officials held a meet and greet event with the three finalists at the Granby Town Hall. McIntire, Meszaros and Rosier mingled with community members, county department heads, other elected officials and the commissioners themselves. The meet and greet was followed by a series of panel interviews conducted the following morning. The county interviewed the three finalist candidates via three separate panels: a panel made up of the County Commissioners, a panel consisting of Grand County’s other elected officials as well as elected officials from the incorporated towns within the county, and a panel of community leaders that included representatives from the school districts, chambers of commerce and community organizations such as Mountain Parks Electric. Kate McIntire currently serves as the Public Affairs Director for Jefferson County government and previously served as acting county manager for the county. McIntire has previous experience working for the Colorado Water Conservation Board and served as Director of the Telluride Institute’s Watershed Education Project. The Peace Corps volunteer is married and has two children who still live at home. Thorton native Scott Meszaros spent the last several years serving as City Manager Meeker. He resigned from his position in Nov. 2018 after spending nearly seven years with the northeastern Colorado city. That stint in government administration followed a seven-year tenure in Monument as the clerk for the Front Range community. The US Navy veteran is a married father of three with his youngest child preparing to graduate high school this year. Former Jefferson County Commissioner Don Rosier is a fifth generation Coloradan. Initially elected to represent Jefferson County in 2010 Rosier was reelected in 2014 and was term limited in 2018. He resigned from his position as commissioner in late 2017 to become general manager of the Sterling Ranch Community Authority Board. The trained civil engineer is a married father of three, all of whom are adults. The decisions regarding which finalist candidate will receive the final job offer falls to the three person board of county commissioners however input from the three panels was a factor in the decision making process. 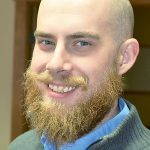 Grand County Commissioner Rich Cimino stated late last week that a decision has been made regarding which candidate the county hopes to hire but that no announcement would be made until after an agreement has been finalized. “We hope to complete contract negotiations the week of Feb. 11 – 15, and if successful, announce the manager the week of Feb. 18 – 22,” explained Cimino.